In Amanda Hodgkinson's 22 Britannia Road, Silvana and Janusz are plunged into war when Germany invades Poland in 1939. Though the invasion catches them (and their real-life counterparts) by surprise, Polish-German relations had been increasingly strained since the signing of the Treaty of Versailles, which redrew European borders at the end of World War I in 1919. A German-Polish Non-Aggression Pact, signed in 1934, had promised to keep relations between the two countries cordial, but, among other reasons, Germany's unwillingness to cede the Polish Corridor, per terms of the Treaty of Versailles, strained diplomacy. As Hitler gained power, he focused his vision of a hegemonic Germany, taking territories from surrounding countries to create a "living space" that would expand "Greater Germany." An obvious choice was the Polish Corridor, a splice of land that belonged to Poland and cut East Prussia off from Hitler's expansion. The area was contested by both countries and inhabited by Germans and Poles alike. At the center of the disagreement was the city known by the Germans as Danzig, and to the Poles as Gdansk, a busy port city with an approximate 95% German-speaking population. 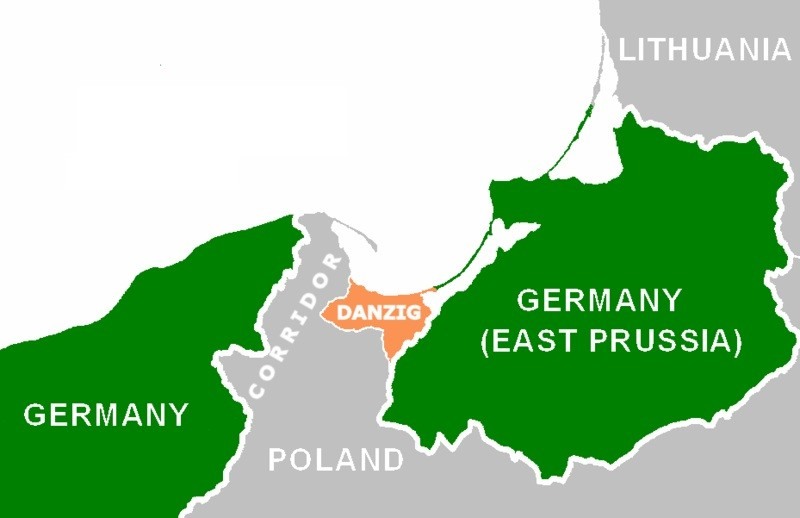 Along with Hitler, many Germans wanted to "free" Danzig after it had been given to Poland (along with the rest of the contested territory in the Polish Corridor), but Poland refused. A proposal in 1937 to build a roadway through the Polish Corridor - to connect Germany with East Prussia - was likewise refused for the same reason: Poland was increasingly wary that Germany discounted Poland's sovereignty. The British and French were also growing concerned and pledged their support to Poland to help maintain Poland's territory. Though both sides harbored hopes that an agreement about Danzig - and perhaps all of the Polish Corridor - could be struck before the outbreak of war, Hitler's withdrawal from the German-Polish Non-Aggression Act in 1939 indicated that Hitler was interested in pursuing more aggressive tactics to achieve his aims. Diplomacy broke down, and Hitler soon learned that Britain and France had failed to cement an alliance with the Soviet Union, opening the door for a German-Soviet alliance. 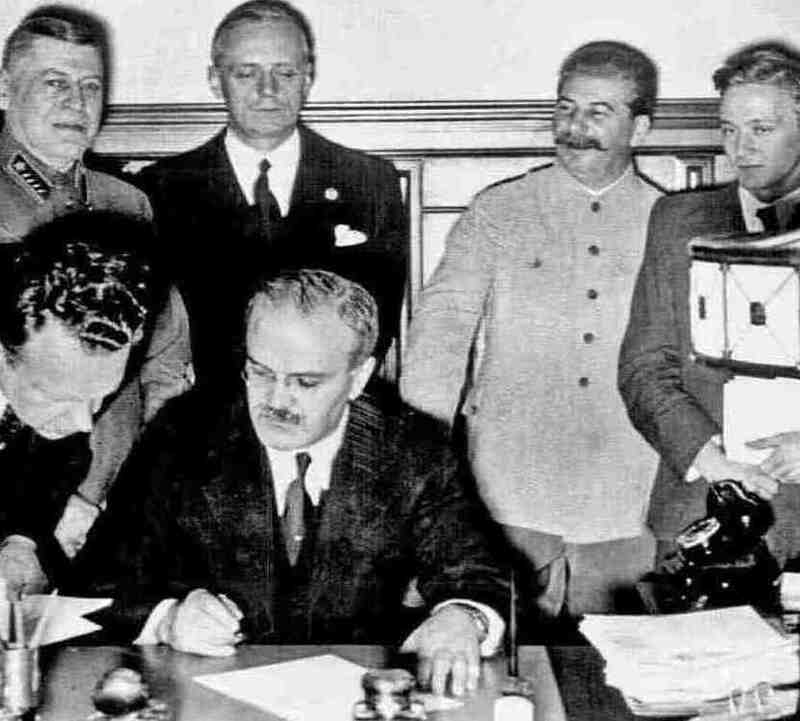 The signing of the Molotov-Ribbentrop Pact in August of 1939 created the partnership between Germany and the Soviet Union that Germany needed to move forward with Hitler's plans for a "military solution" in Poland. The pact also promised Soviet support should Germany go to war with Britain and France. Now allied with the Soviet Union, Hitler invaded Poland - an act that would ignite World War II. This "beyond the book article" relates to 22 Britannia Road. It originally ran in May 2011 and has been updated for the April 2012 paperback edition.